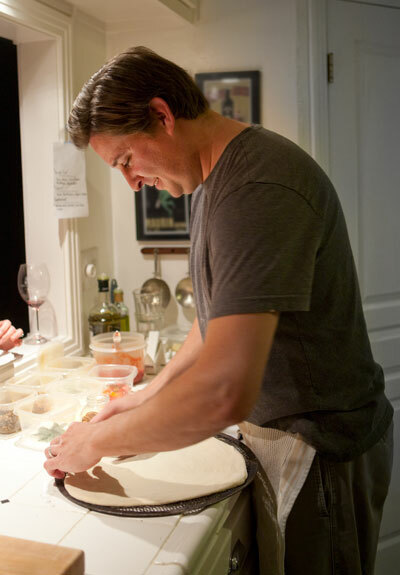 Awesome pizza night this week. Great friends, red wine, three pies: Godfather, Daisy and the Polka Dot. Shout out to Shelley (Chicken Whisperer) for taking the action photos. 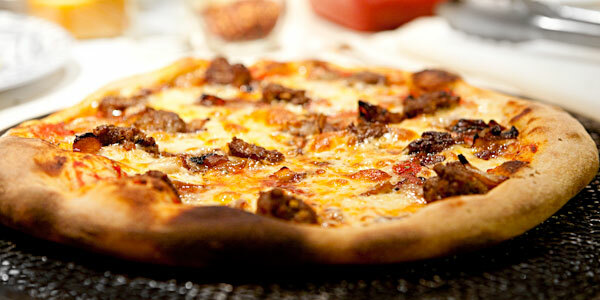 The Godfather: Smoked Mozzarella, Caramelized Onion and Spicy Italian Sausage. The sausage was from Central Market and had a little too much connective tissue. Maybe, I’m getting spoiled by Dai Due and the Kocurek Family Charcuterie. 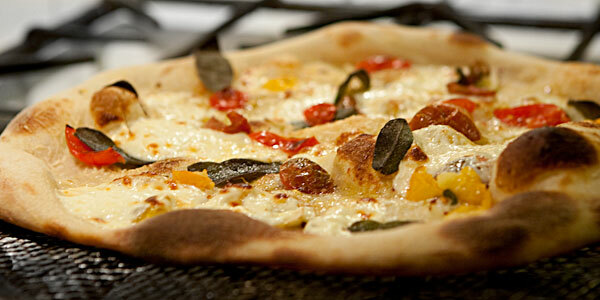 Always a surprise favorite, the Polka Dot pizza: Parmesan, Mozzarella, Fried Sage and Cherry Tomatoes. I also did a specialty pie for a cheese challenged guest. Basically, all the good ingredients, minus cheese. It actually turned out pretty good. Thanks again for inviting us. 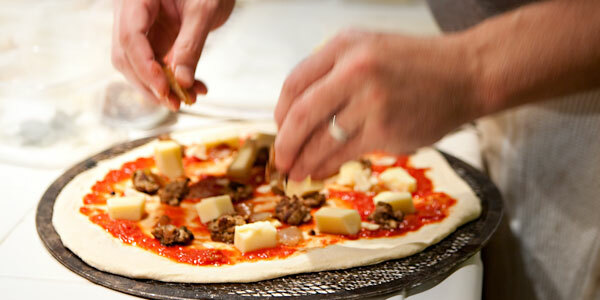 Seriously, I can’t say it enough…your pizza was off the hook! Of course, so was the company & the wine. Can’t wait for next time!